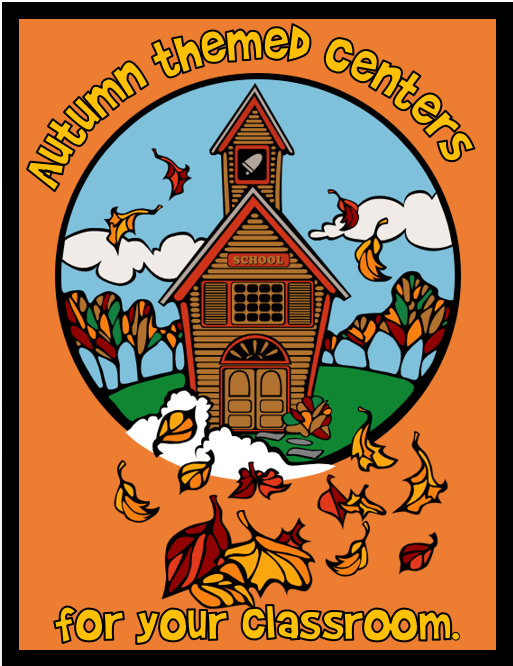 Autumn themed centers for your classroom -- check them out. 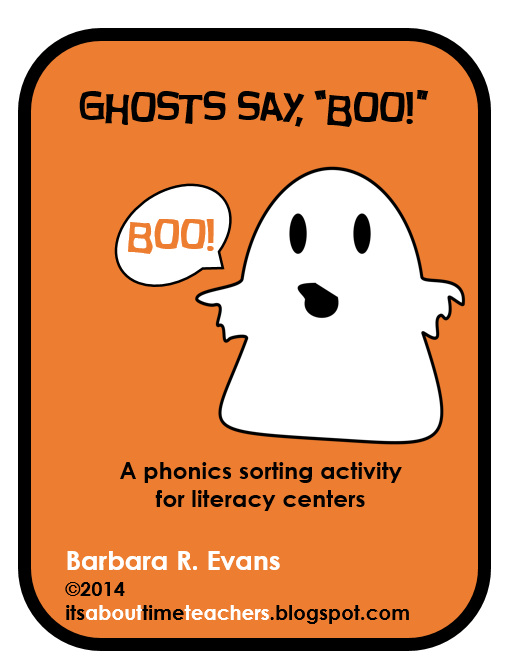 Ghosts Say, "Boo!" 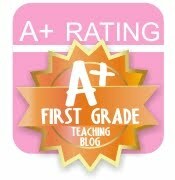 is a literacy center for primary classrooms. 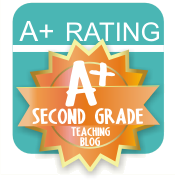 In this activity students will focus on 2 sounds of /o/: ō and ōō. 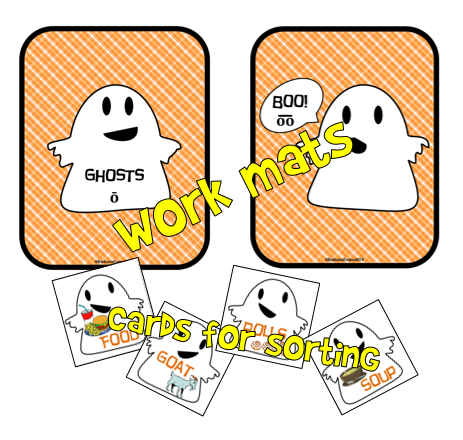 There are 2 ghost work mats: 1 labeled "Ghosts," and the other labeled "Boo!" Students sort the 20 word/picture cards by matching the vowel sounds to the 2 ghosts. 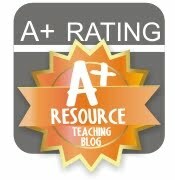 This center includes a recording sheet and labels for your center folder. 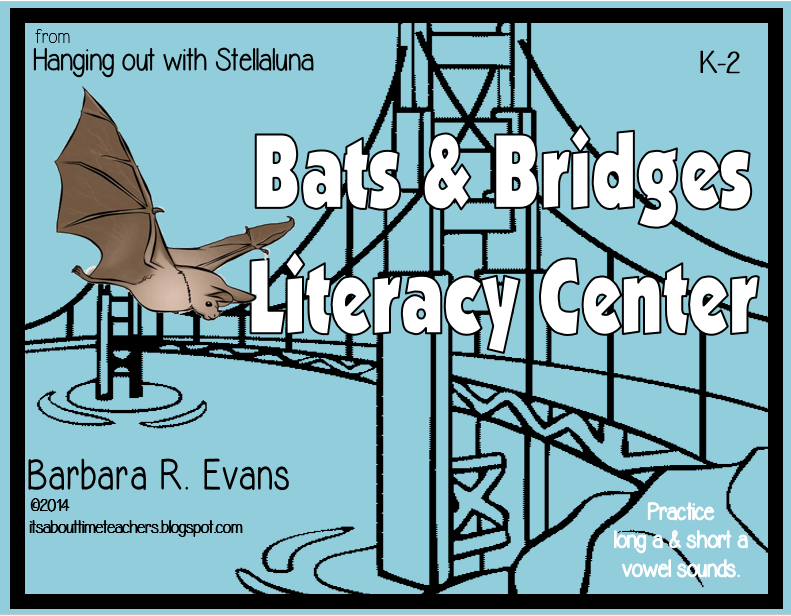 Bats & Bridges Literacy Center also challenges students to work with vowel sounds; long and short /a/. 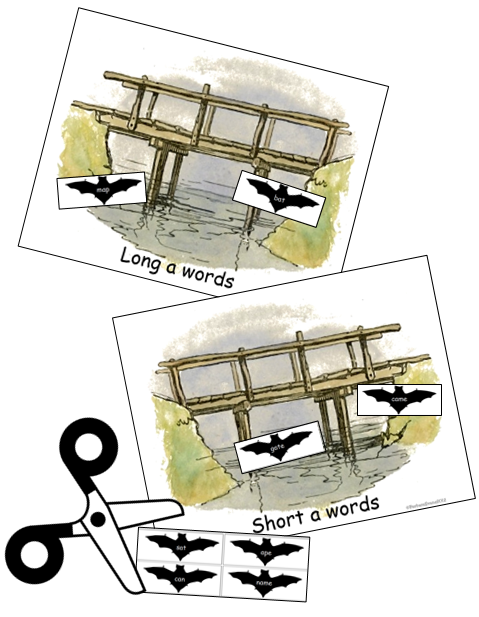 Students will sort the bat word cards and fly them to the proper bridge for roosting. 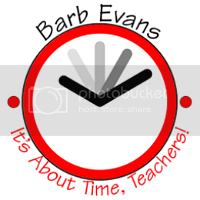 A recording sheet is included, as are labels for your center folder. This center activity is part of my thematic unit, Hanging Out with Stellaluna. 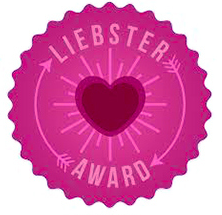 It is now available as a stand-alone product for the first time. 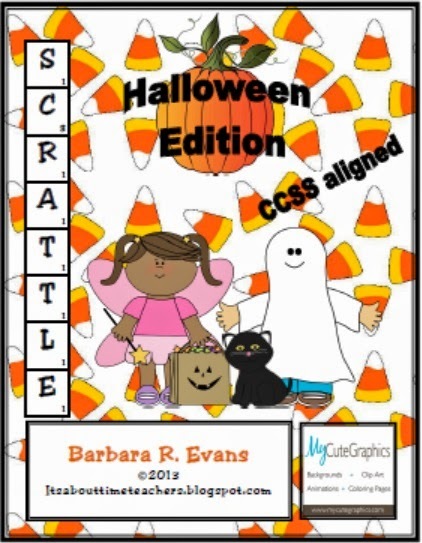 You get to combine 2 subjects in 1 center when you use Scrattle: Halloween Edition. 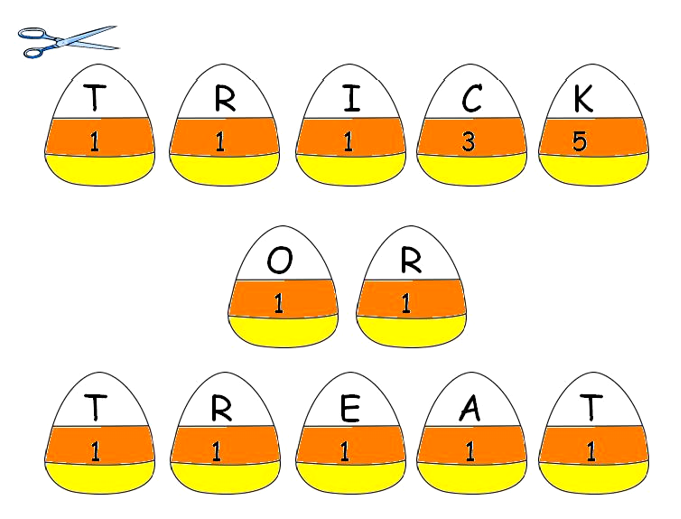 This wildly popular activity challenges your students to exercise their verbal fluency by making words out of the letters provided on candy corn pieces. Each letter has a numeric value, as in Scrabble(TM). As your students record their words, they compute the value of each of them. 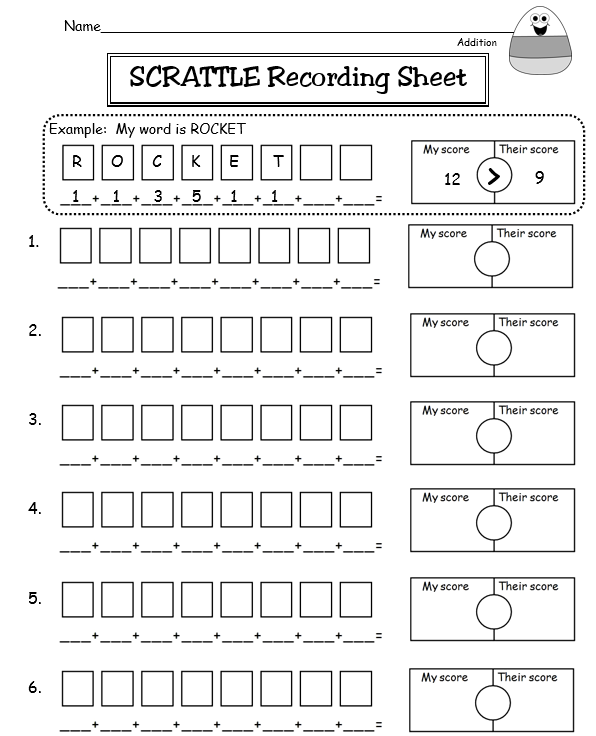 Not only does Scrattle give your students practice with ELA and math, but it comes with 3 different recording sheets: 1 using addition only, 1 requiring multiplication, and 1 employing mixed operations. 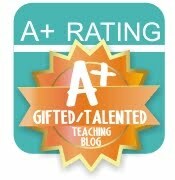 Thus, you can readily differentiate your instruction. Moreover, this center is CCSS aligned. 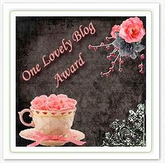 And better yet, it's FREE! 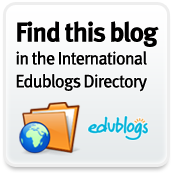 Even better, there are multiple editions for several holidays and they, too, are FREE! 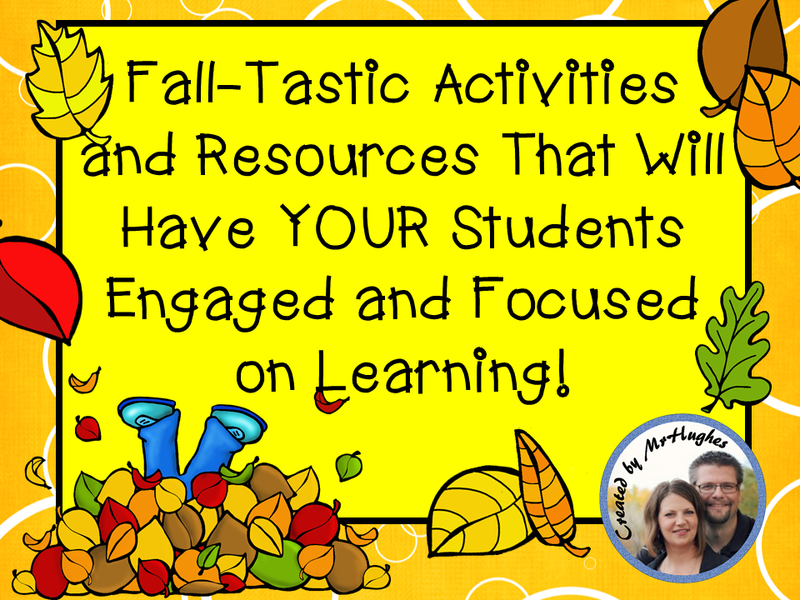 John Hughes, author of An Educator's Life blogspot, is hosting a Fall-Tastic Activities and Resouces linky party. 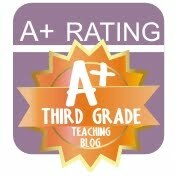 You are sure to find some great activities there.